After spending a few weeks in the States, the climbing journey of Adam Ondra goes on and stops in Chile for another incredible adventure. Just after landing, Adam moved to Valle de Los Cóndores where he on-sighted 3 routes signing also 2 first ascents on 3. Entrati ufficialmente nell'anno dei suoi "90+1", La Sportiva conclude il suo viaggio alla scoeprta delle tappe fondamentali che hanno segnato la storia dell'arrampicata. 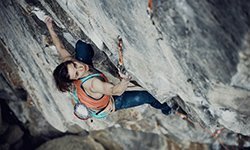 Con una serie prodotta in collaborazione con Sky Icarus 2.0 e presentata dall'ambassador La Sportiva Pietro dal Prà, nl'ultimo episodio ci porta ad Arco, per riscoprire la bellezza delle prime vie di arrampicata sportiva chiodate da grandi climbers degli anni 80 come Bassi, Manolo, Mariacher e Iovane. Last August, La Sportiva ambassadors Barbara Zangerl and Jacopo Larcher made a four-day ascent of Odyssee (8a+/5.13c), a 33 pitch, 1400 meter long route on the legendary Eiger north face, Switzerland. Nell'anno dei festeggiamenti del suo novantesimo anniversario di fondazione, La Sportiva celebra la storia dell'arrampicata con una serie di tre video. 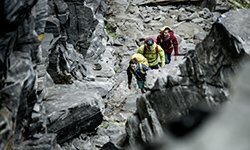 Prodotta in collaborazione con Sky Icarus 2.0 e presentata dall'ambassador La Sportiva Pietro dal Prà, nel terzo episodio si parlerà di come la svolta culturale degli Anni 70 abbia influenzato anche il modo di vedere e praticare l'arrampicata. Just before leaving for the Innsbruck world Championship, we followed together with Sky Icarus the La Sportiva ambassador Stefano Ghisolfi during a training session, in his personal home-gym before, and at his local crag in Arco then. We talked a lot about training techniques, and Stefano shared with us some important hacks. The secret to never give up? watch the video, and discover it. Neil Gresham is a La Sportiva athlete for more than 20 years but, after all this time, he still cannot hold back his passion for climbing. In this video, Neil tells us more about Burnt Crag, an amazing spot in the Duddon Valley (Lake District) and how to keep high the motivation in the young generations of climbers. Narrating 90 years of history can be quite an undertaking. It means thinking back and remembering hundreds of anecdotes and fundamental stages. It can be even more challenging because the story of La Sportiva cannot be told like the story of any ordinary Company. But we'll try to do it anyway with a series of video that collects people, moments and stories which have made the small Calzoleria La Sportiva, the global Company which is today. Nell'anno dei festeggiamenti del suo novantesimo anniversario di fondazione, La Sportiva celebra la storia dell'arrampicata con una serie di tre video. 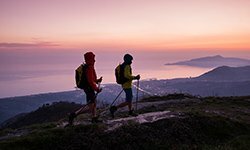 Prodotta in collaborazione con Sky Icarus 2.0 e presentata dall'ambassador La Sportiva Pietro dal Prà, nel secondo episodio si parlerà diuna delle grandi svolte che ha segnato la storia dell'arrampicata, smepre più diversa dall'alpinismo tradizionale: l'era del sesto grado. Nell'anno dei festeggiamenti del suo novantesimo anniversario di fondazione, La Sportiva celebra la storia dell'arrampicata con una serie di tre video. Prodotta in collaborazione con Sky Icarus 2.0 e presentata dall'ambassador La Sportiva Pietro dal Prà, il primo episodio parte dalle Origini di questa disciplina, andando indietro di oltre cent'anni. After being a true French in order to conquer "Le Bronx", the 8c+ route freed by Francois Petit in Orgon, the James Pearson's metamorphosis goes on and from France shifts to the States, in Chattanooga, Tennessee. This time, the challenge is named "Power Ranger", 5.14R, and will bring James to overcome his limits and then beyond... The mostest. A Sfelab.it production. For all the fans of the "Strange Heroes" miniseries, a special Christmas present is coming: after meeting Jacopo Larcher and Patxi Usobianga, get ready to know the fears and motivation that drive the top climber Babsi Zangerl to constantly push beyond limits. The La Sportiva “Strange Heroes” miniseries goes ahead and, after meeting with Jacopo Larcher, reveals the monster within the climbing legend Patxi Usobiaga. In this second episode, Patxi dressed up the warrior mask telling us how he faced his fears and what really drives him to constantly push beyond limits. Say goodbye to Patxi, and say hello to El Luchador! 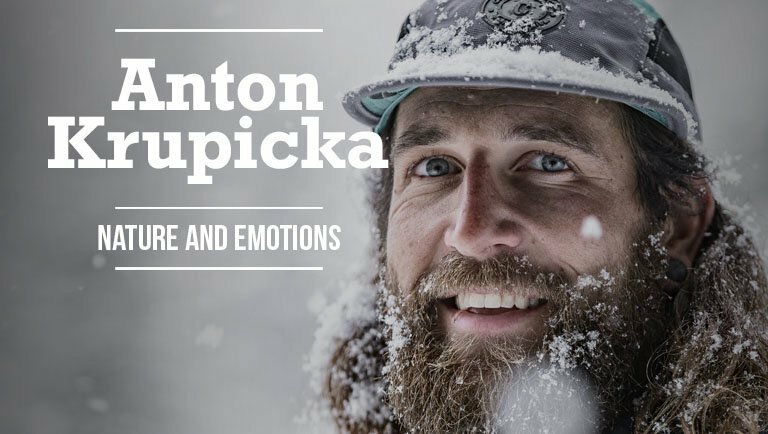 The La Sportiva Storyteller project tells the reality of Scandinavian climbing through the eyes and hands of his ambassador Anthony Gullsten. discoverwith us the life, workout and motivation behind one of the strongest and most complete boulder climber in the world. Cosa succede quando un runner si confronta cona parete d'arrampicata? E come andrà a finire l'avventura di corsa off-road intrapresa dal climber silvio Reffo? 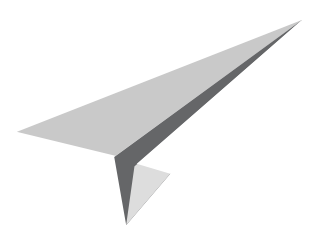 Scopriamolo in questa puntata di Sky Icarus 2.0! La Sportiva athlete Jorg Verhoeven makes the annual pilgrimage to Yosemite, California to attempt the 2nd free ascent of "The Dihedral Wall" (VI 5.14a) on El Capitan. This time, Jorg brings his wife, Katha Saurwein along, teaching her the ropes on her very own big wall free climb, "The Final Frontier" (5.13-) on the Fifi Buttress. Directly from Sharma climbing gym in Barcelona, Climb-in-Gym Tour 2017: the new european Test & Feel Tour organized by La Sportiva in 60 of the most famous climbing gyms across Europe. 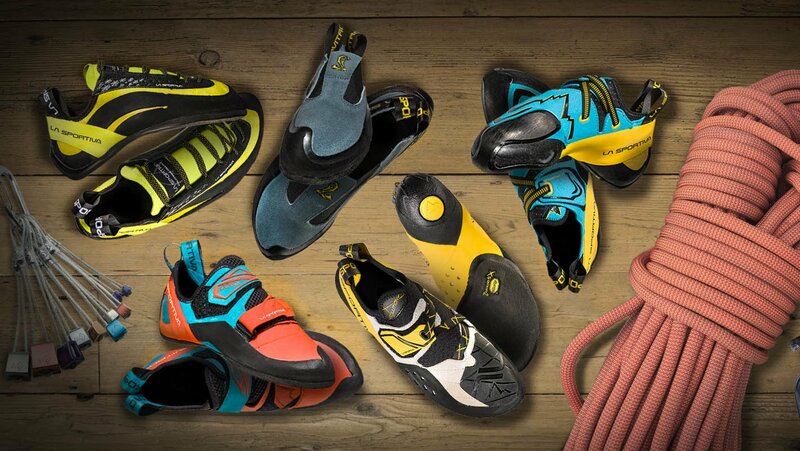 An incredible chance for try the new climbing products, meet the La sportiva team and its athletes! Can you feel it? After visiting BLOCK HELDEN gym in Bamberg for the special Climb-in-Gym tour event, La Sportiva ambassador Adam Ondra onsighted "master of the Universe"another stunning 8c/+ in Frankenjura. chalk your hands, enjoy the story! Discover how LaSpoBoy and LaSpoGirl got theyr super powers thanks to new La Sportiva Kids Collection made by 3 super products dedicated specifically to kids: Gripit, Scout and Flash for climbing, trekking and running! Part one: CLIMB /klaɪm/ “to use your legs and hands, to go up or onto the top of something”. Tired of the black-and-white life at the gym? La Sportiva brings you some colors, with the new SS apparel collection! 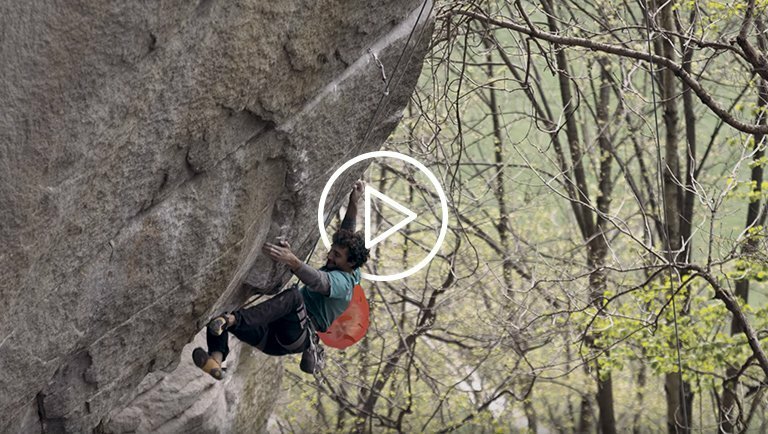 Belayed by Adriano Selva, in November 2016, La Sportiva ambassador Silvio Reffo made a lightening fast ascent of Hotel Supramonte at the Gola di Gorropu gorge in Sardinia. First ascended ground-up over 5 days in 1998 by Rolando Larcher and Roberto Vigiani, this 500m 8b is recognised as one of the most beautiful and coveted multi-pitch sports climbs worldwide. In this video, La Sportiva ambassador James Pearson grab his ascent to the iconic route The Quarryman, established by the British climbing legend Johnny Dawes in the 80’s. The La Sportiva Storyteller’s journey stops in Spain and in the Basque Country meets climber Ander Lasagabaster. 36 years many of them spent on the wall, native of Mondragon and based in Aretxabaleta, worker for job and climber for hobby ... and lifestyle. Dopo una stagione passata ad arrampicare indoor, il climber ambassador La Sportiva Pietro Dal Pra ci porta "fuori" assieme a Icarus 2.0​, per scoprire una delle prime e più importanti palestre d'arrampicata in Dolomiti: Cinque Torri. In occasion of the last production of Mythos climbing shoes in color Lilla, La Sportiva shares a piece of its story, celebrating a product became "myth", symbol of generations of climbers. Genius, the climbing shoe with no-edge technology, is the James Pearson's favourite gear of La Sportiva. The Brit climber, facing the sandstone boulders of La Capelle (South France) together with his wife Caroline Ciavaldini, explains how every single feature of the shoe is relevant for this particular climbing style. Neil Gresham, Adrian Baxter and Stu Littlefair chat about the latest La Sportiva's climbing innovaton, the "S-Heel technology" found on the new Skwama and Otaki shoes: Check out their thoughts in this first complete product review, during a recent trip to the Peak District with Dark Sky Media. After the adventures of James Pearson & Caroline Ciavaldini, we're back in Italy with a new episode of No-Edge web series, where Marzio Nardi and the Italian lead champion Stefano Ghisolfi will tell you how the No-Edge technology may change your life. Sky Icarus 2.0 racconta il test&feel tour europeo firmato La Sportiva durante la sua tappa nella nuovissima Kletternzentrum di Brunico. A presentare i nuovi modelli della casa Trentina, lo sviluppatore ed atleta Pietro Dal Prà e l'ambassador La Sportiva e campione del mondo Adam Ondra. La Sportiva presents the innovative heel construction that prevents from torsions and give more stability to the hell of the 2 big product news for 2016: Skwama and Otaki climbing shoes. "Why am I climbing and what is this mean to me" Soon online an exclusive video will tell you more about the La Sportiva ambassador Paige Claassen. Stay tuned, climbing community. The perspectives are changing. L'ABC dell'arrampicata spiegato dal climber ed atleta La Sportiva Pietro Dal Pra per Sky Icarus 2.0. Scopri tutti i segreti dell'arrampicata sportiva! Sesta ed ultima puntata. Like the scales of a snake, Skwama is the super sensitive, all embracing climbing shoe, capable of supporting the climber in his more technical moves on overhangs. (indoors and outdoor) and on slabs. Designed for performance this model is extremely flexible thanks to the new construction of the sole, which increases the possibility of using the shoe "spread" on the rock in a homogeneous and uniform way. The suede leather and micro-fibre uppers perfectly wrap-around the foot eliminating rigid areas and internal voids, promoting stability in torsion, thanks also to the innovative patented shell S-Heel ™ that maintains stability accentuating the performance and the 'adaptability in the shoe during heel hooks. The Skwama ™ model in protective, ultra sticky rubber at the toe protects against abrasion and forms a grippy surface for toe hooks. The Vibram XS-Grip2 sole provides maximum grip on any type of wall. Skwama: it fits like a skin, it protects like a scale. Otaki in Japanese Samurai slang is the oldest single wire sword: extremely sharp and precise also on small targets. A concept perfectly applicable to climbing: Otaki is a precise, supportive and structured climbing shoe, ideal for climbing in crags, on walls and boulders thanks to features that meet the requirements of today’s modern climbers. The new construction method combines the advantages of the all round snug fit of a slipper to the precision and volume regulation of a Velcro closure shoe. This solution guarantees maximum sensitivity and precision even in torsion: the shoe perfectly follows the movements of the climber eliminating empty volumes and rigid zones. The Innovative S-Heel™ allows to maintain perfect torsion stability accentuating performance and adaptability in heel hooks when bouldering. The American “new entry” to La Sportiva’s international team of climbers, talks about how she sees climbing, in a video shot in Fountainebleau, France. Pietro dal Pra e La Sportiva ti insegnano a muovere i primi passi nel mondo verticale della scalata. Una produzione per Sky Icarus 2.0 - 2015. L'ABC dell'arrampicata spiegato dal climber ed atleta La Sportiva Pietro Dal Pra per Sky Icarus 2.0. Scopri tutti i segreti dell'arrampicata sportiva!